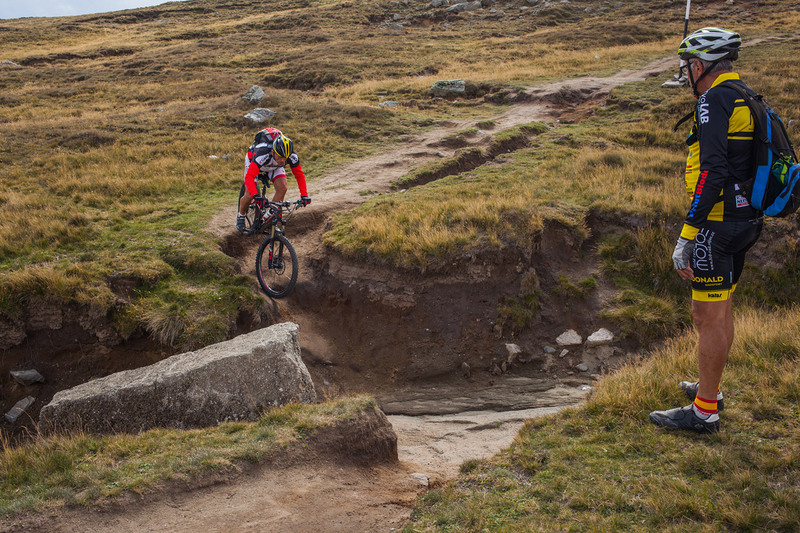 "Ladies & Gents! 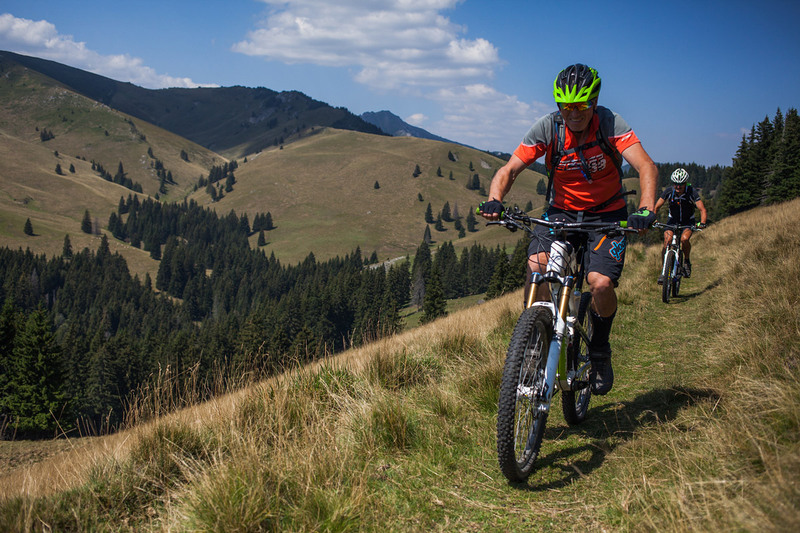 The 7 days in the Carpathians were an unforgetable adventure and I´m very thankfull…"
This season we tested extensively the papanași* as a genuine Romanian sports nutrition supplement. 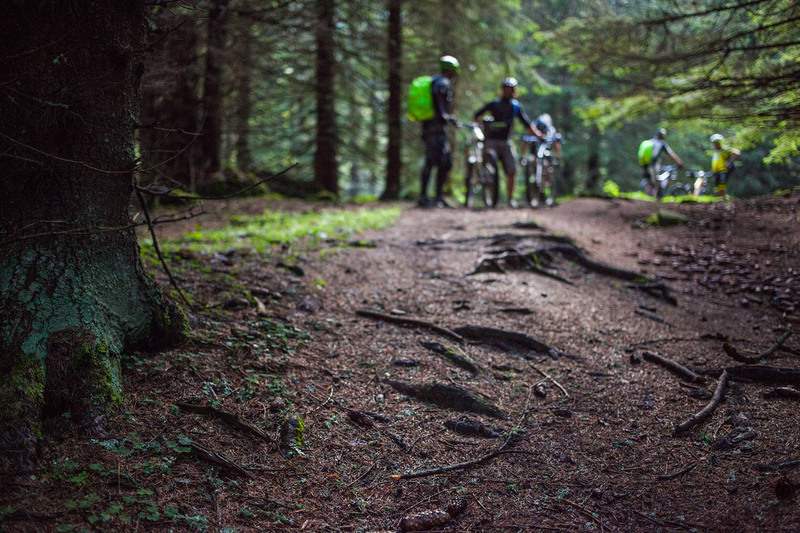 They worked wonders before, during and after intense mountain biking riding :). 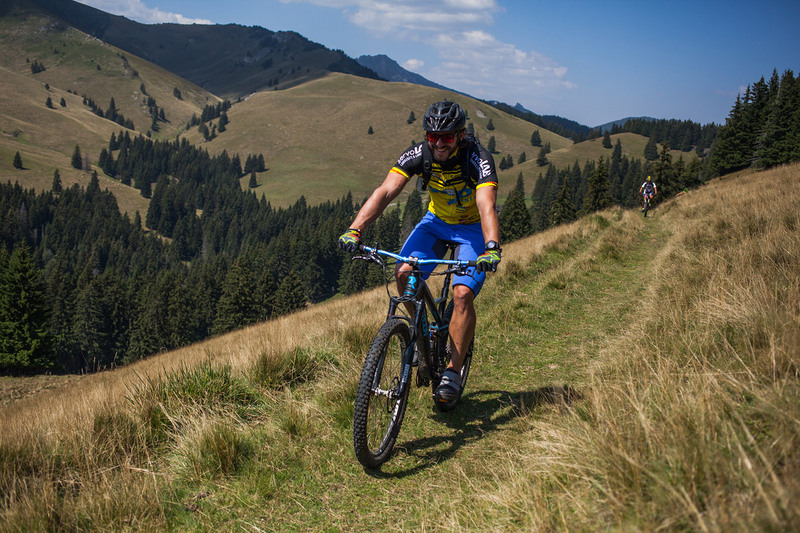 (Hey, some may argue the papanași are a very good substitute for sports itself, but we definitely wouldn’t go as far). 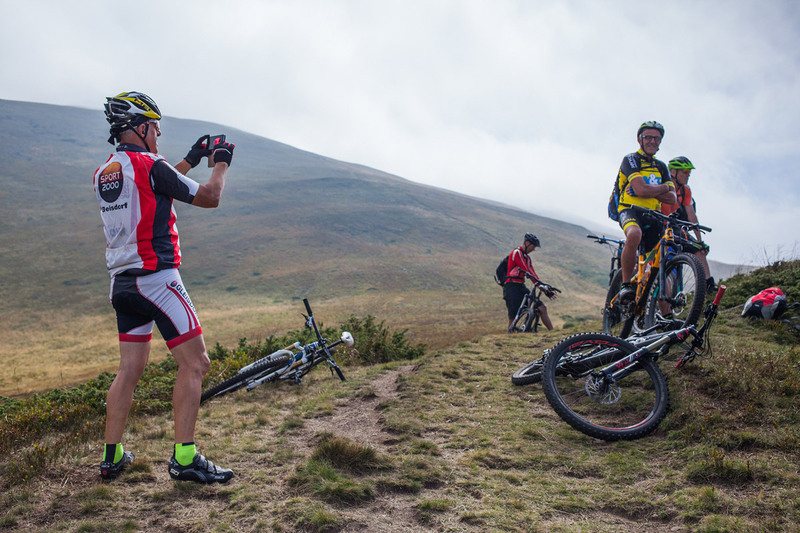 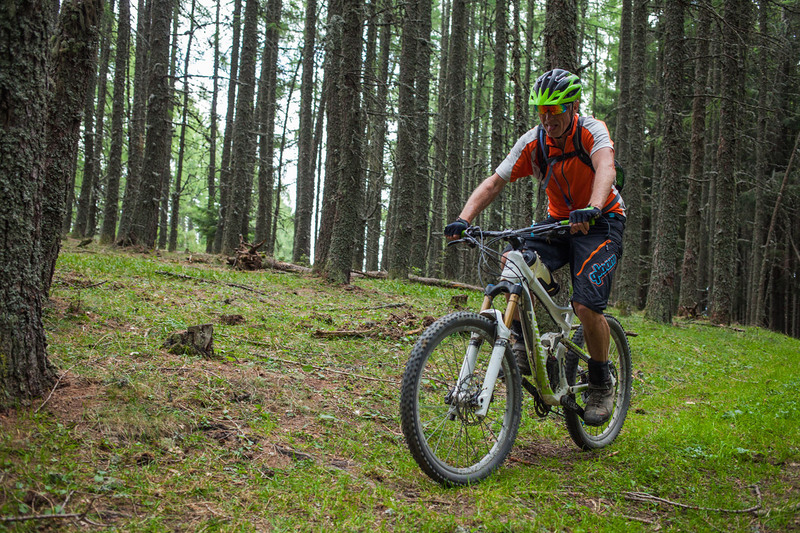 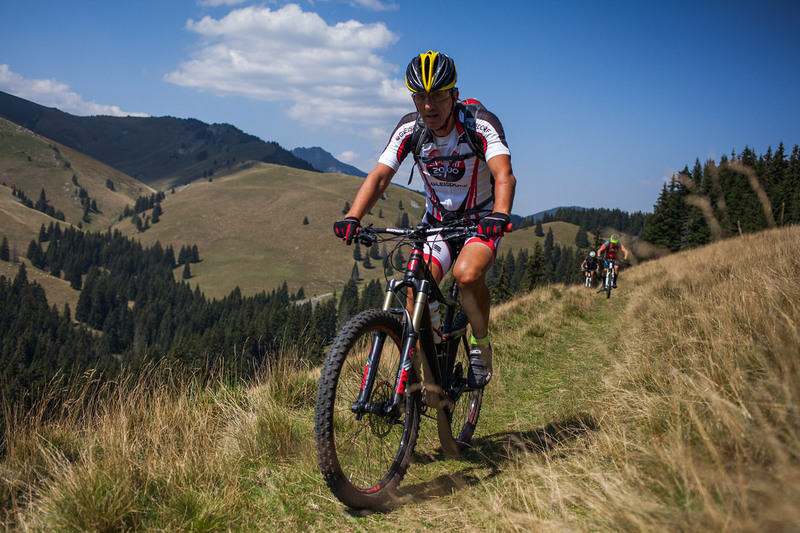 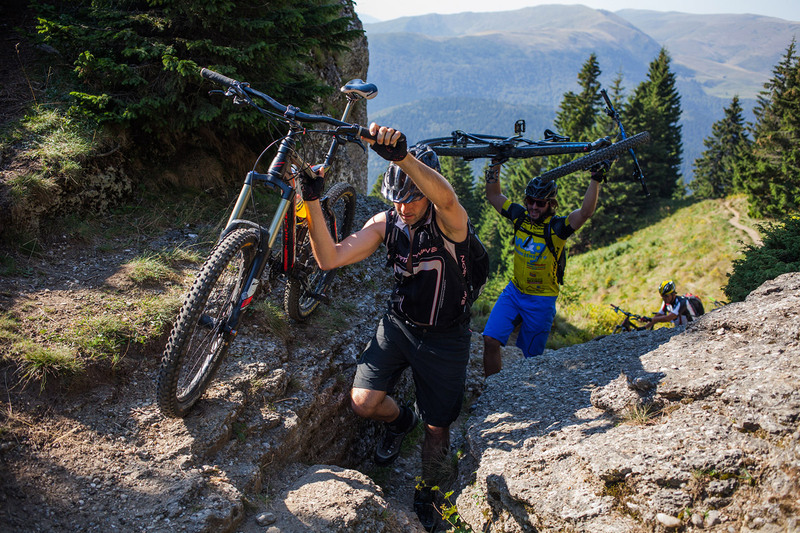 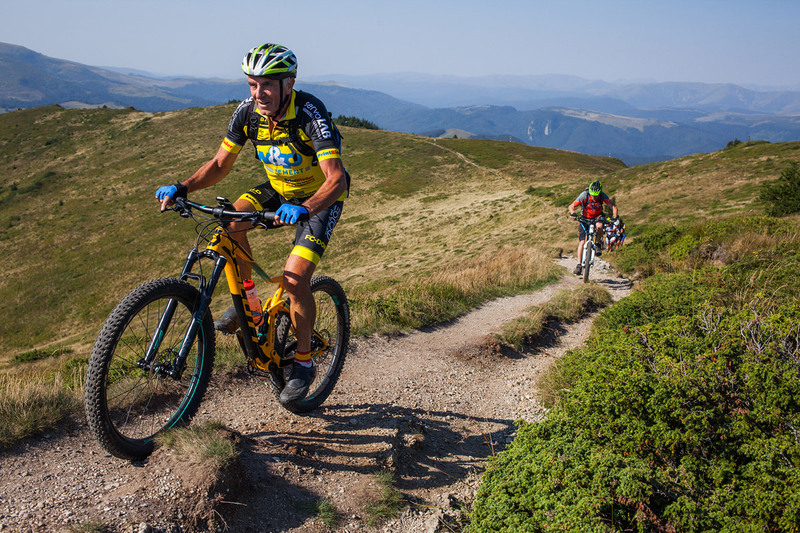 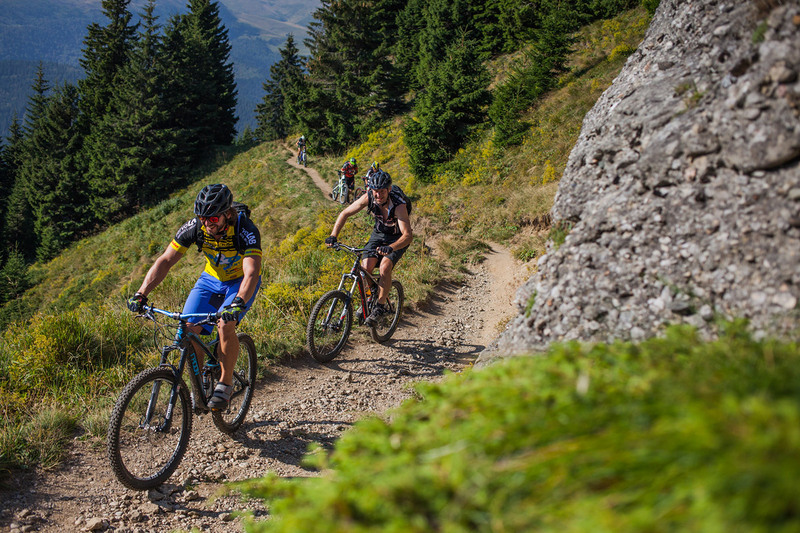 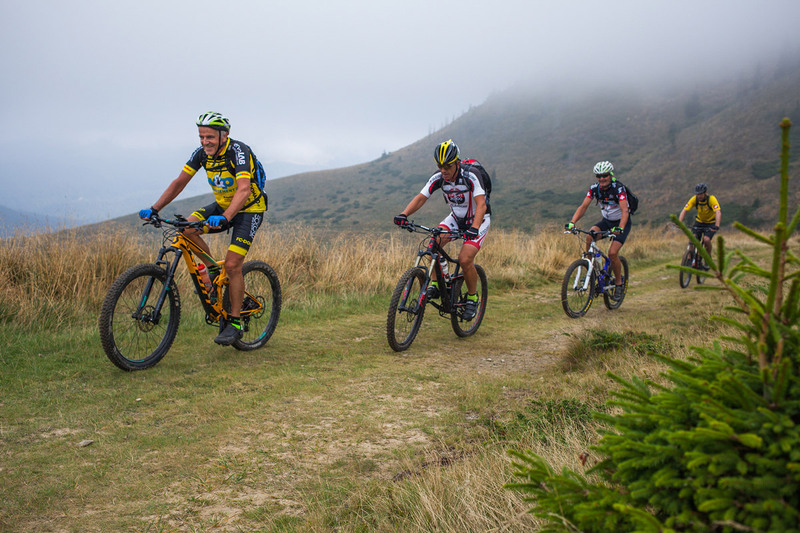 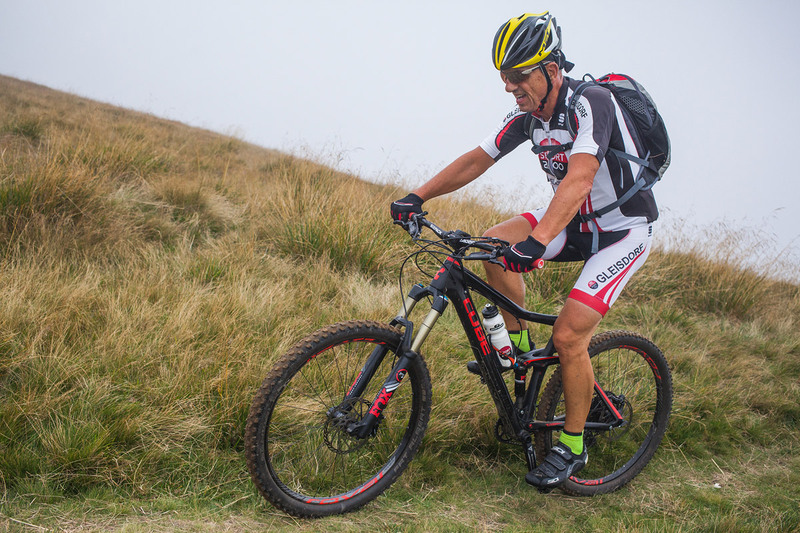 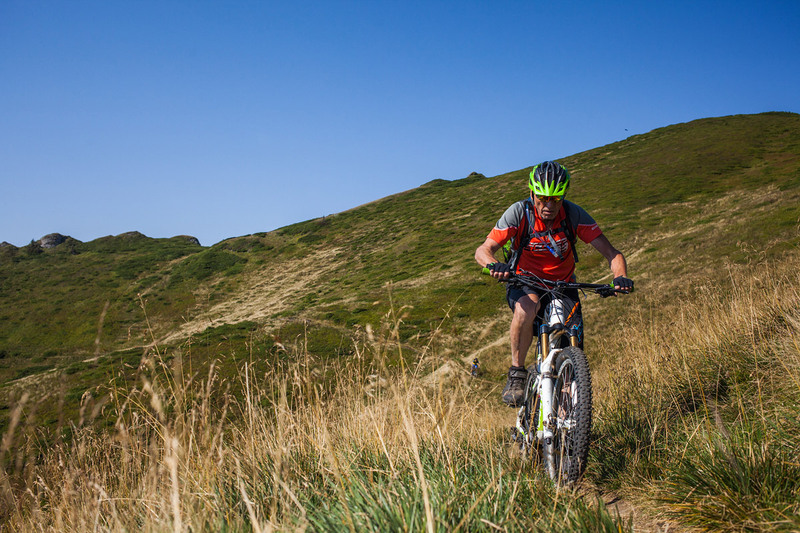 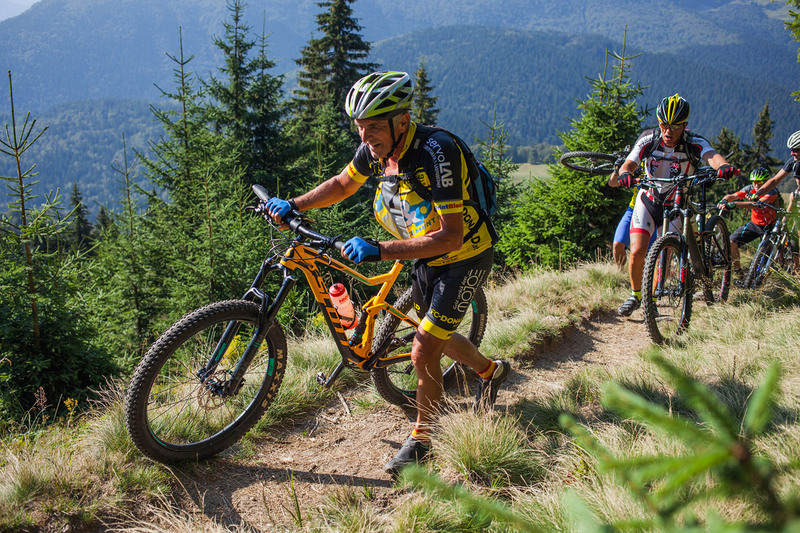 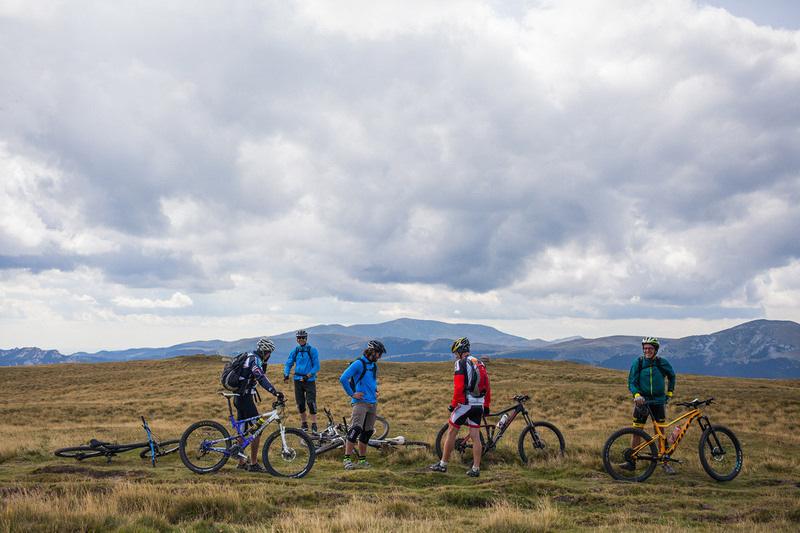 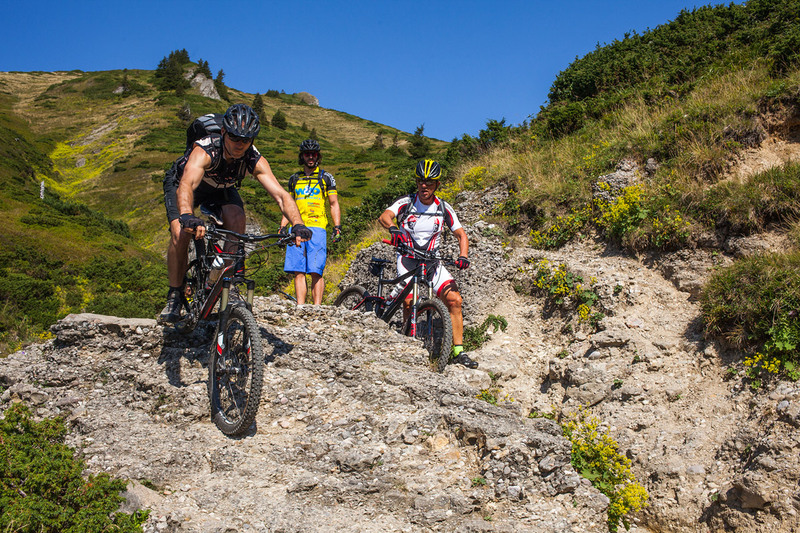 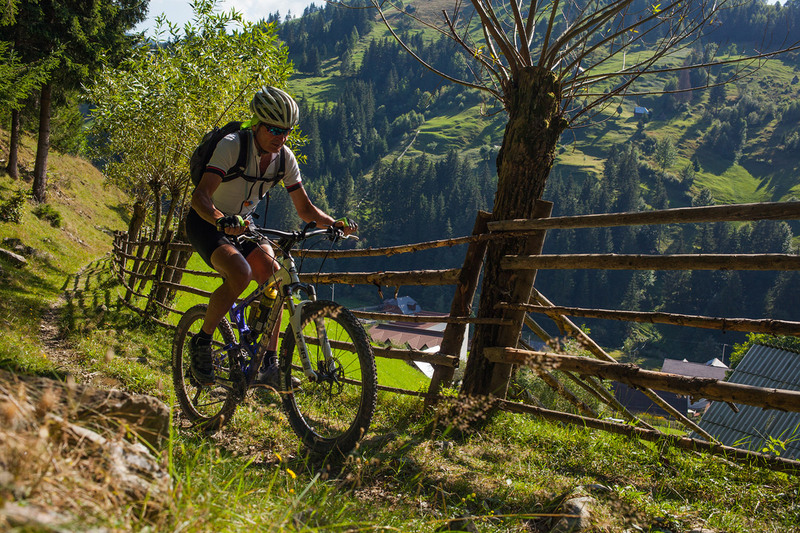 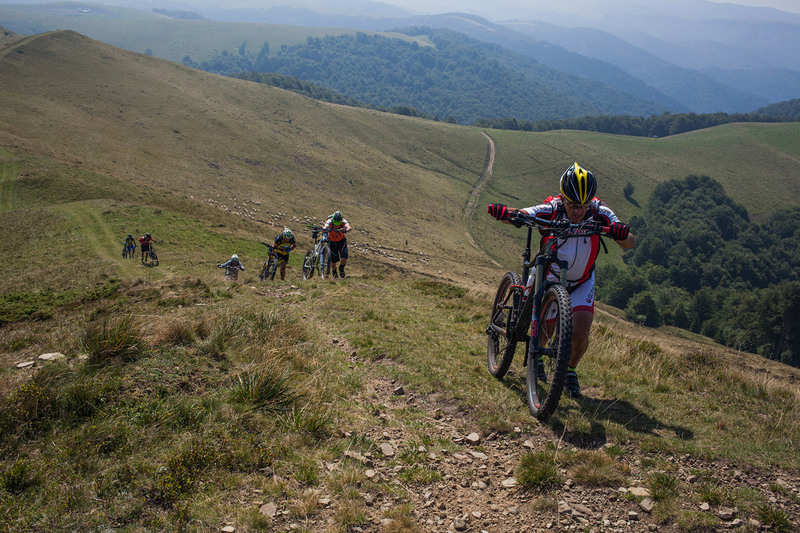 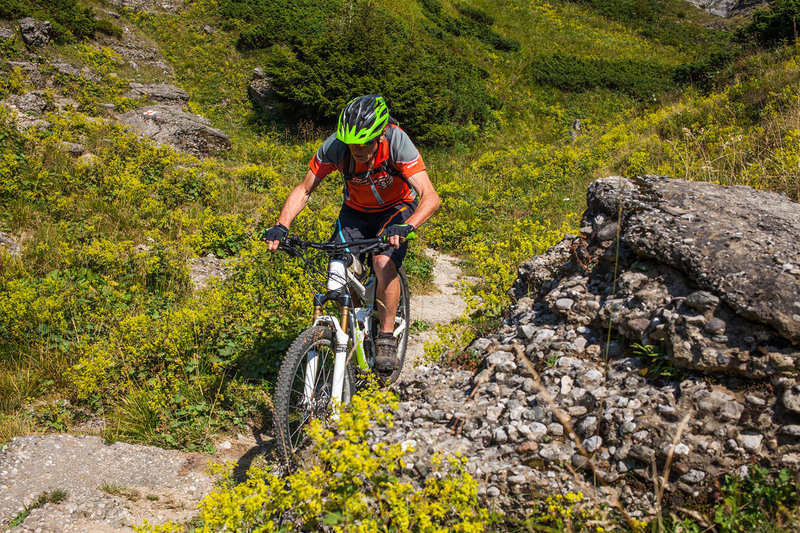 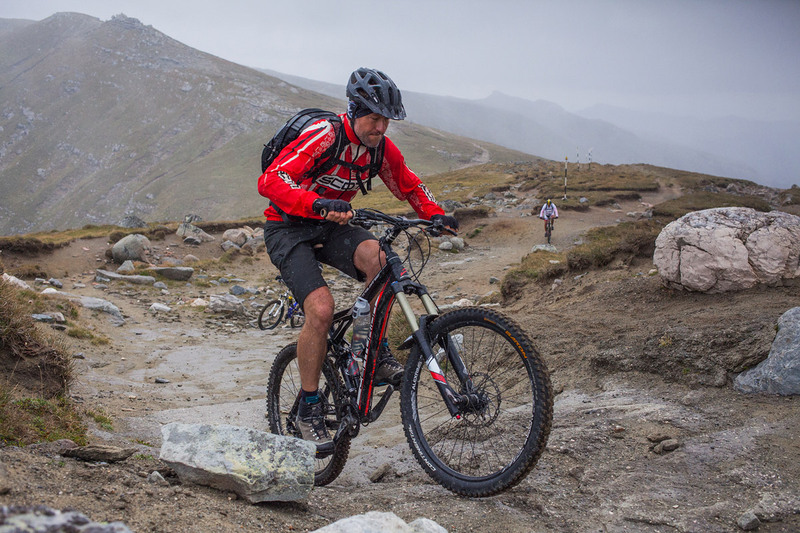 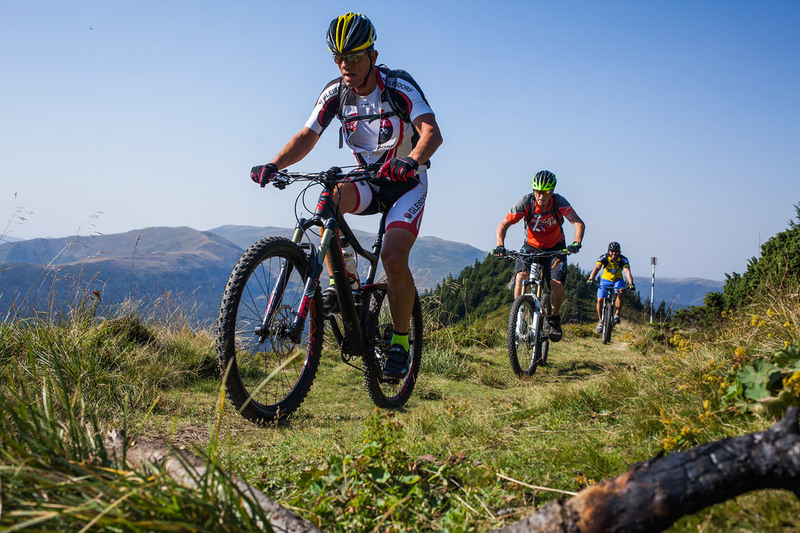 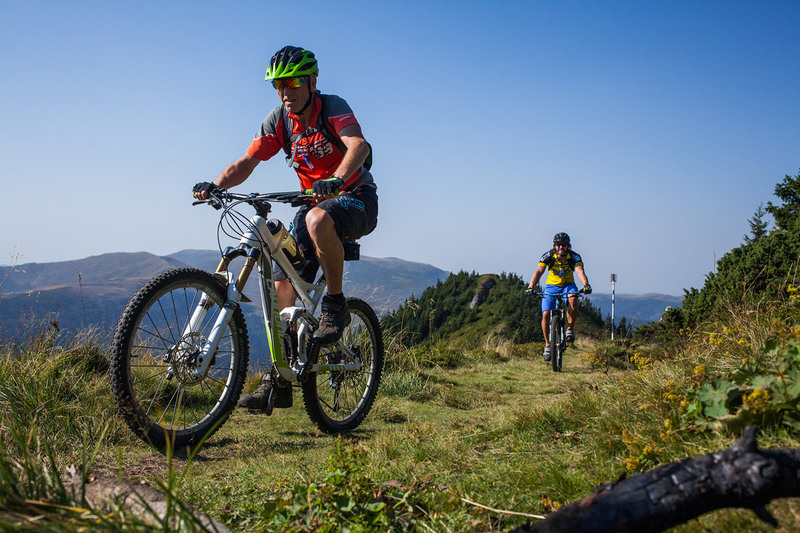 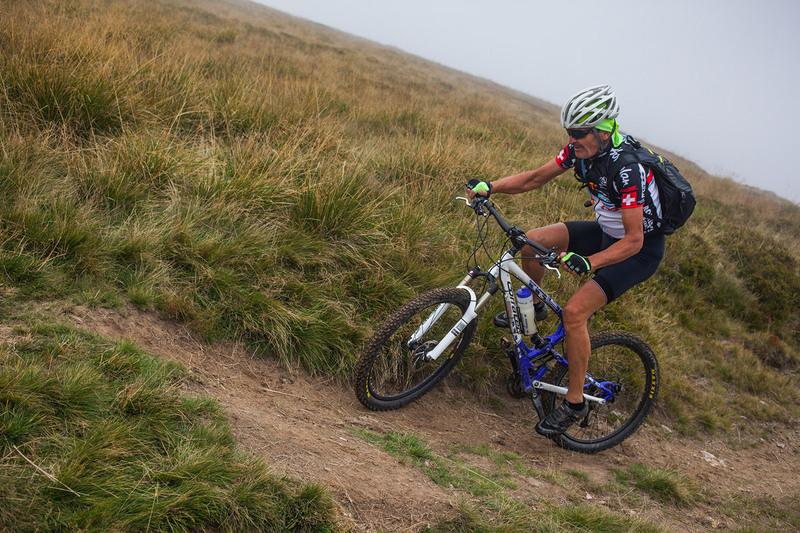 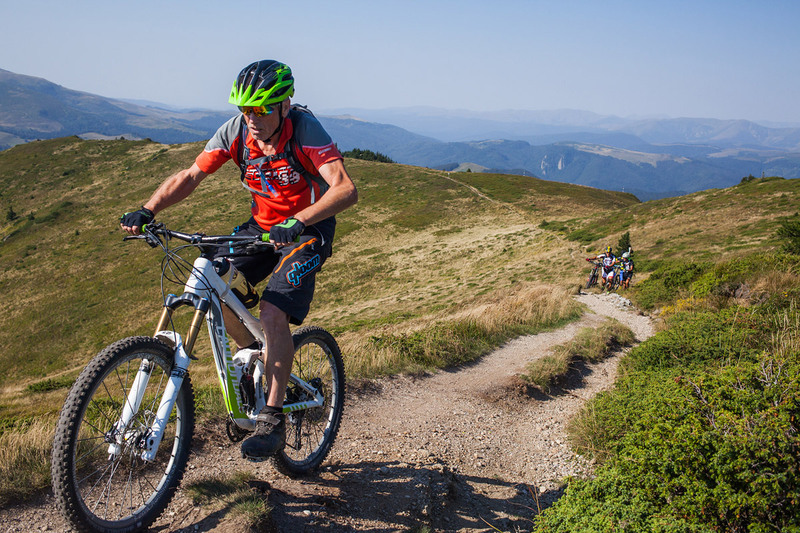 And what better endurance test than the Transylvanian Alps tour? 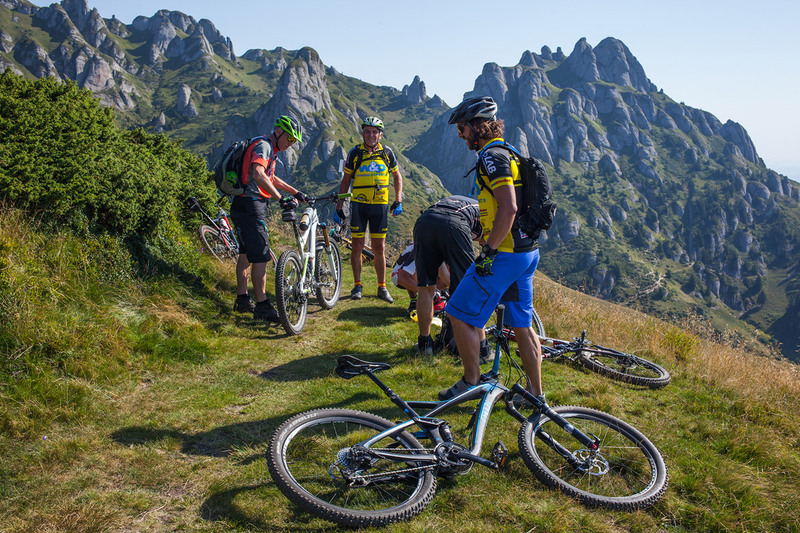 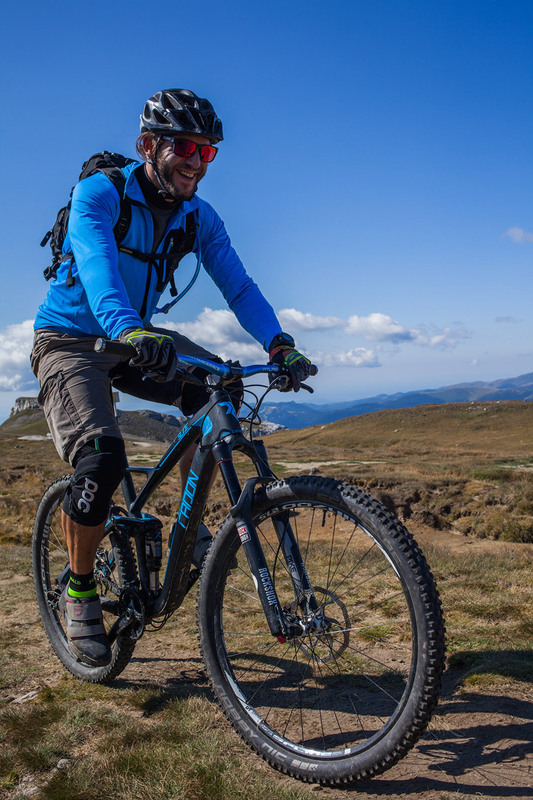 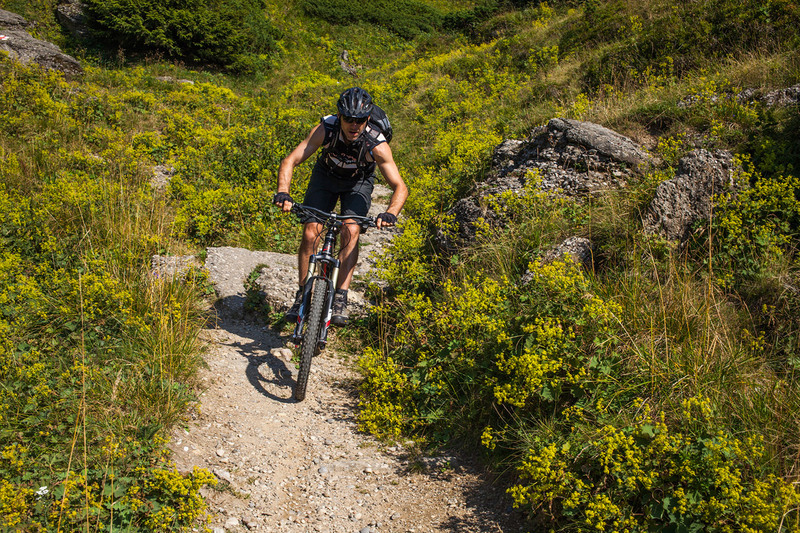 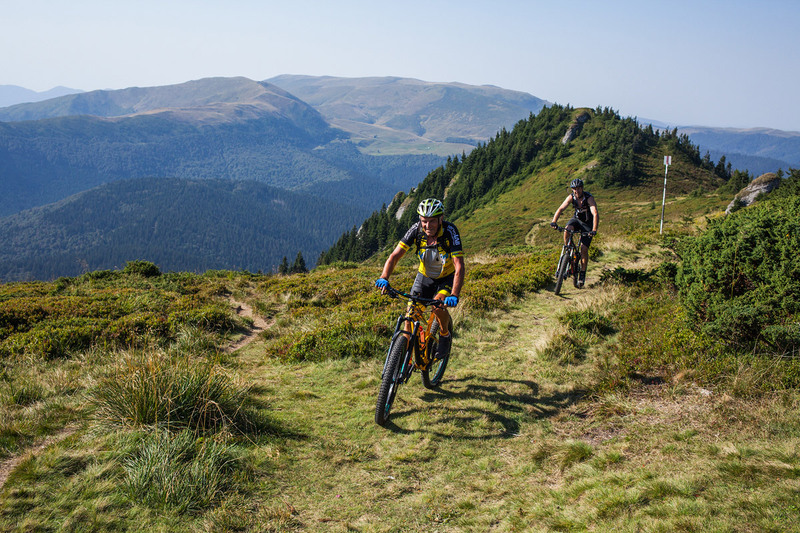 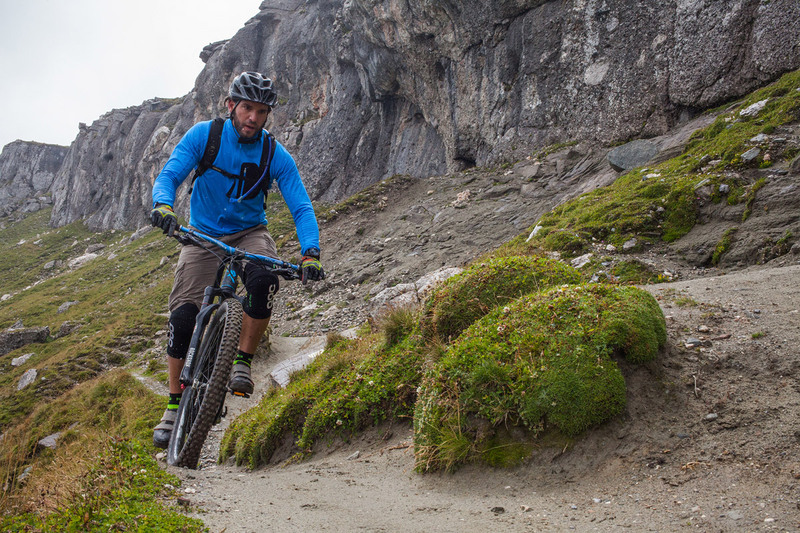 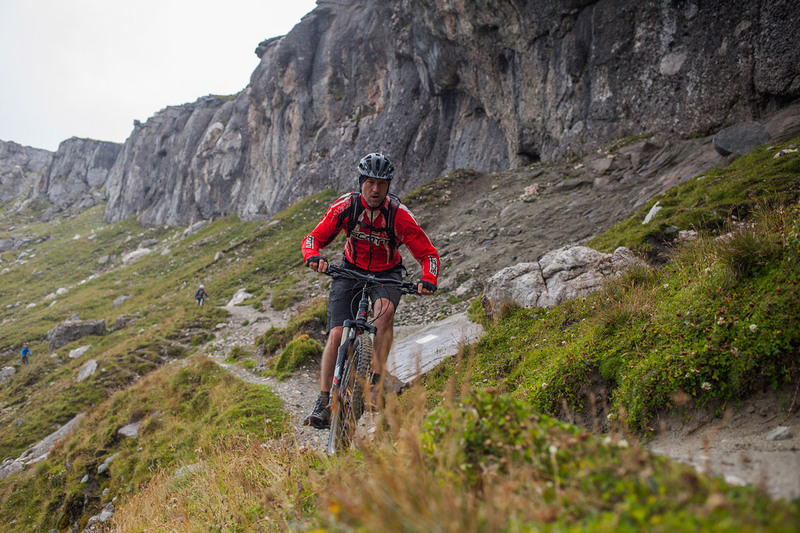 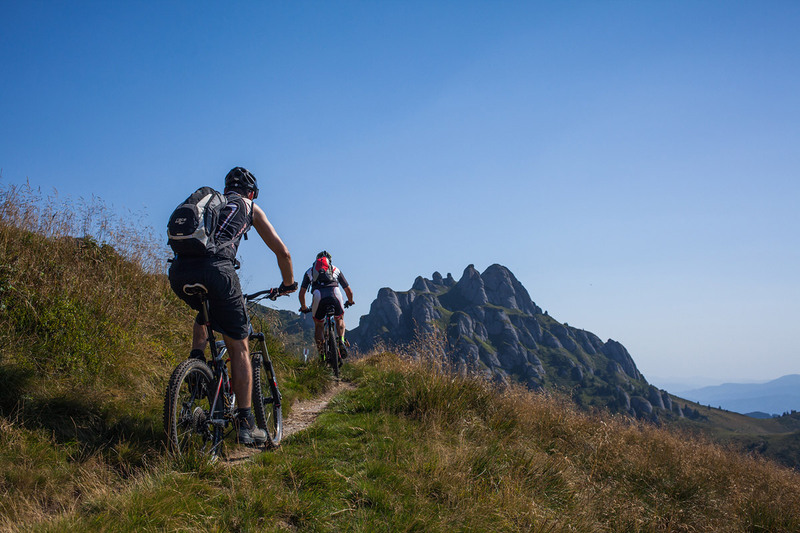 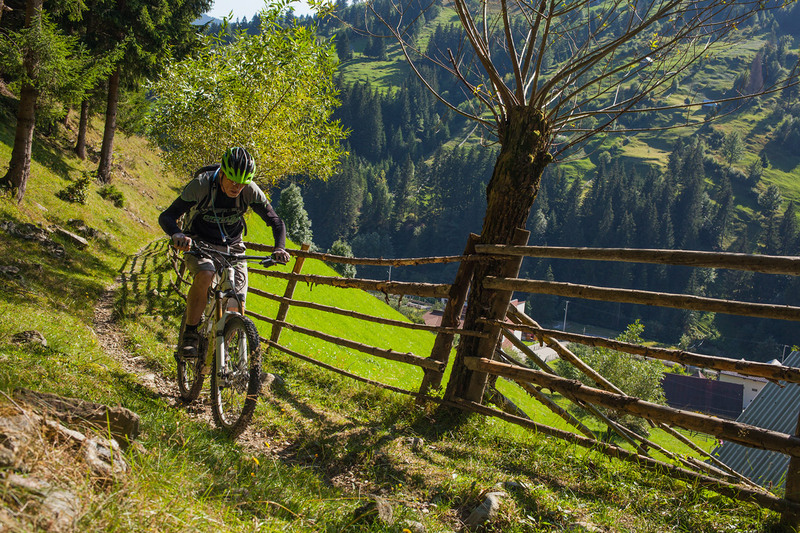 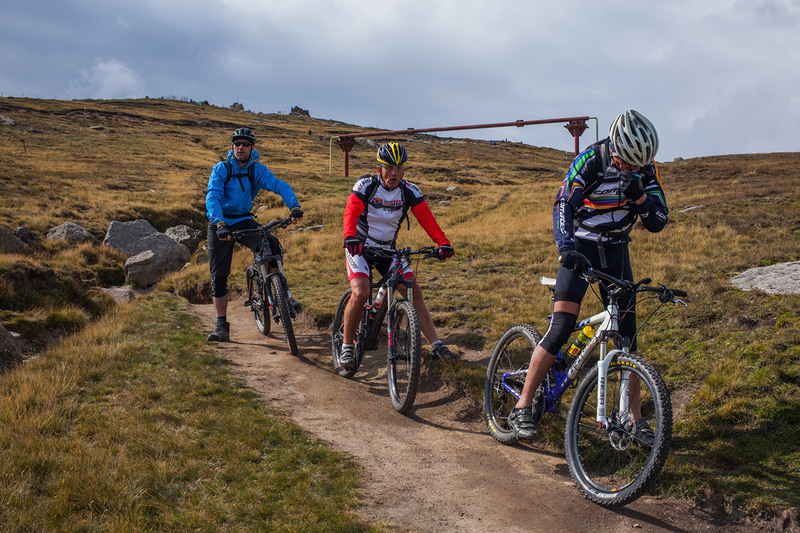 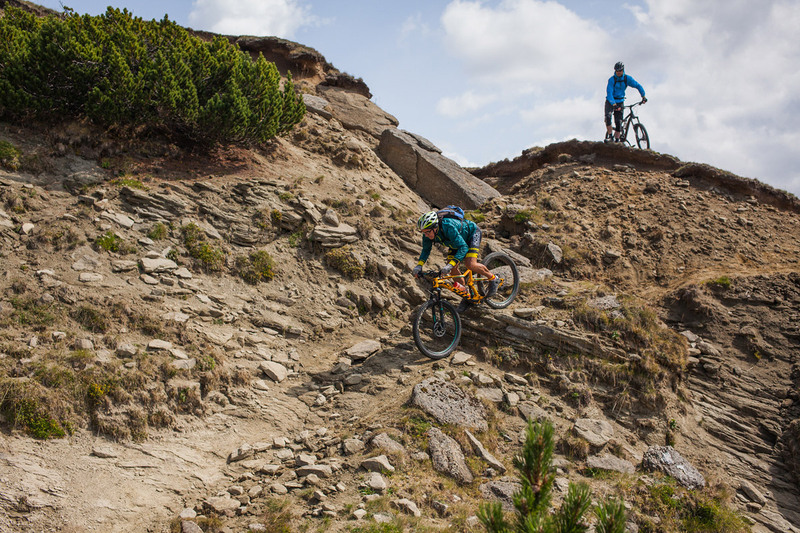 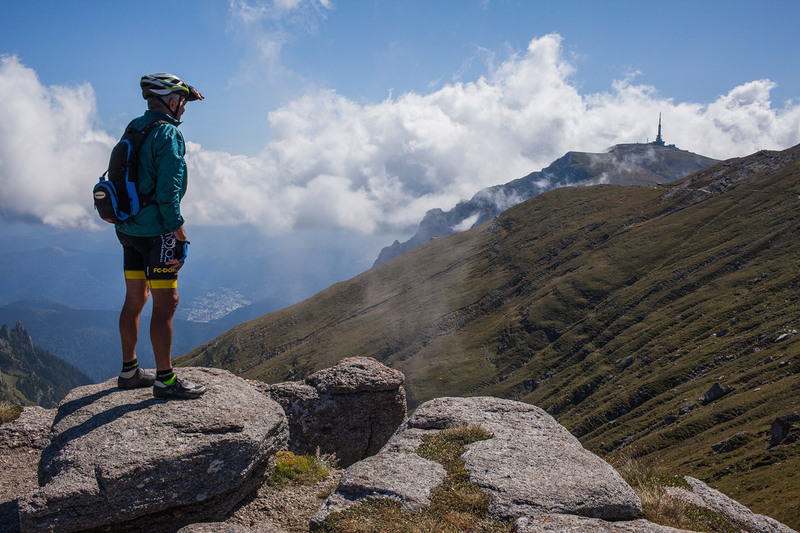 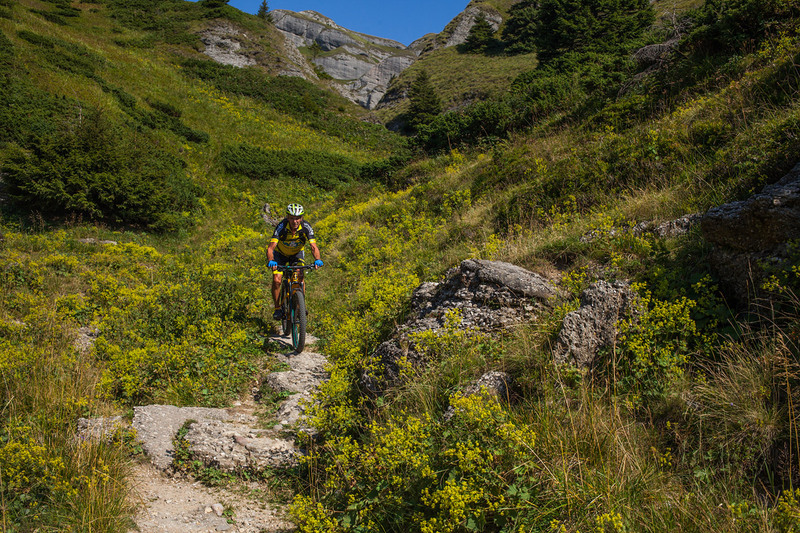 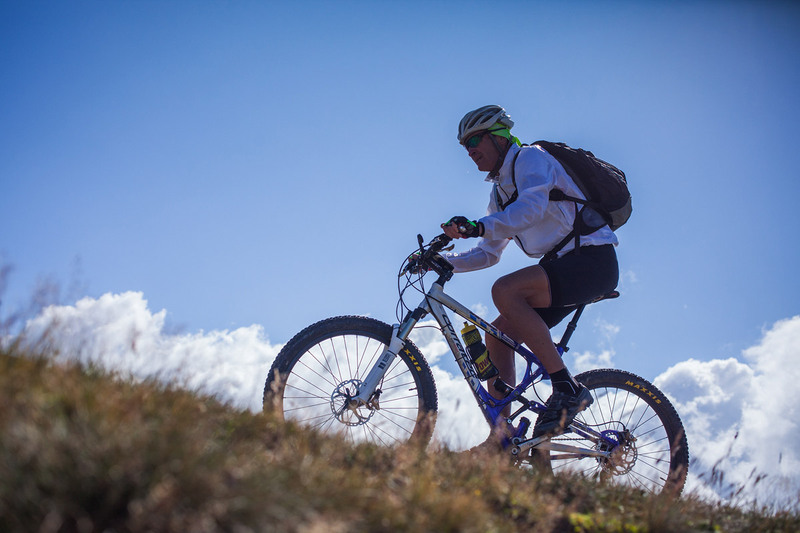 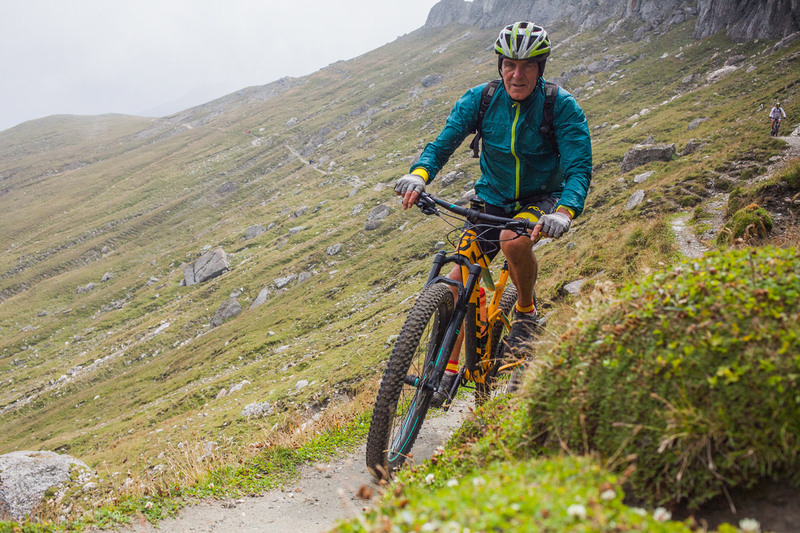 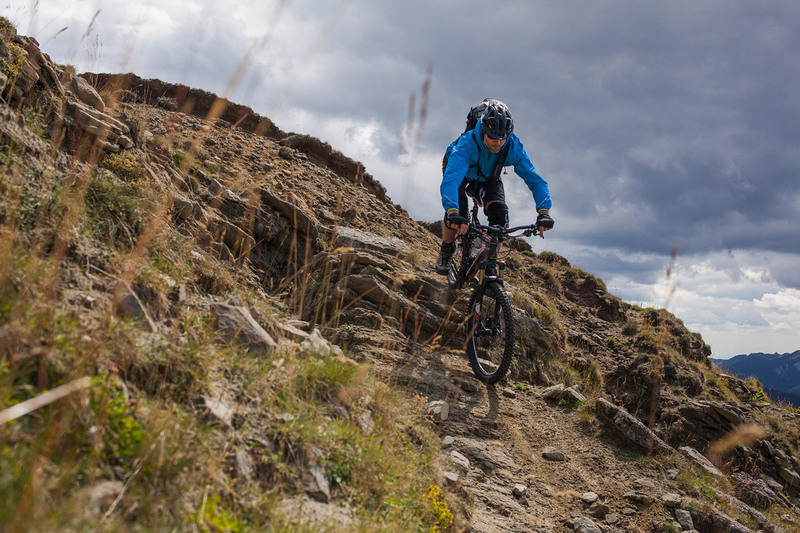 Intensive climbs, technical descents, single trails riding up and down from 800 to 2500 m altitudes, through forests, pastures, deep into the mountain gorges or on the mountain crests. 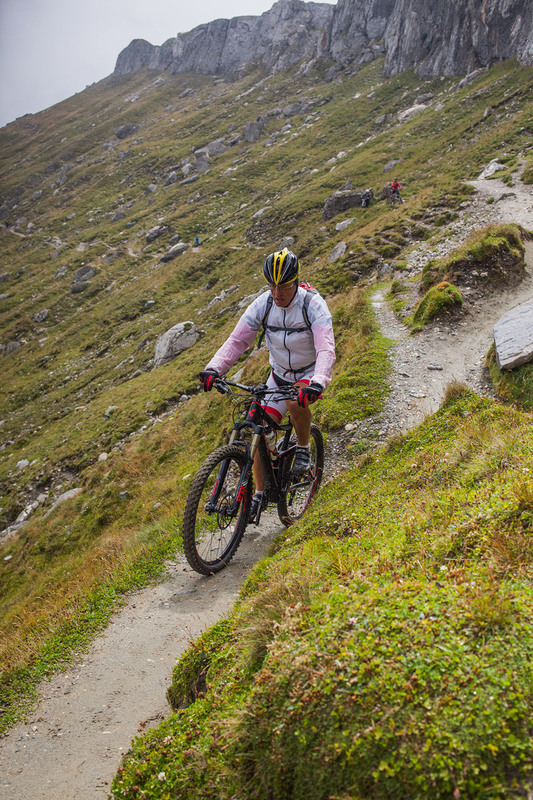 Plenty of carbohydrates, sugars, lactose, proteins, minerals… you name it. 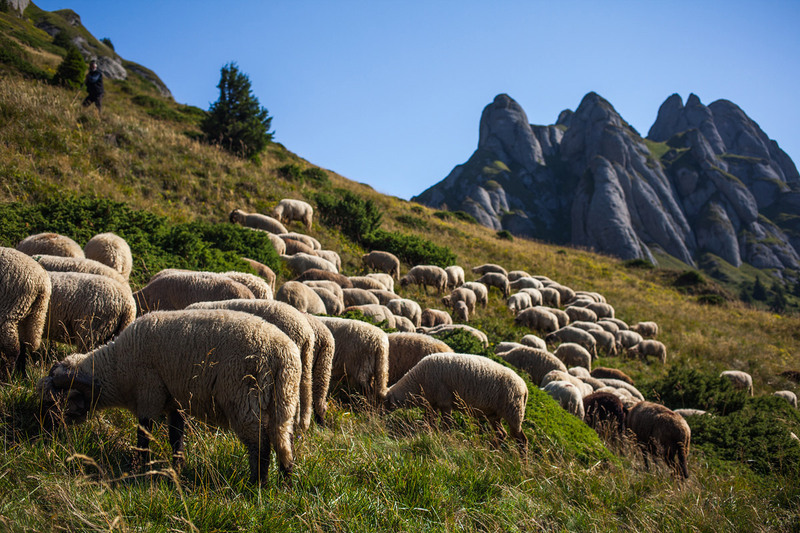 They are all there, carefully dosed in a well balanced portion of papanași. 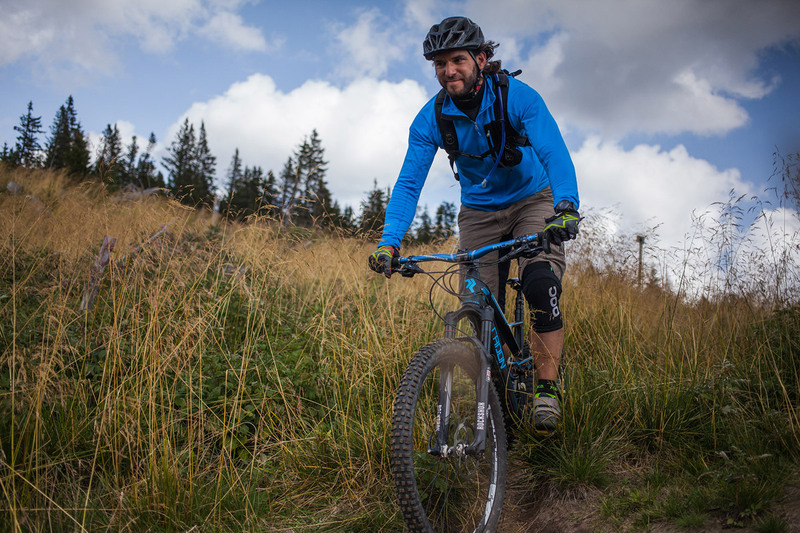 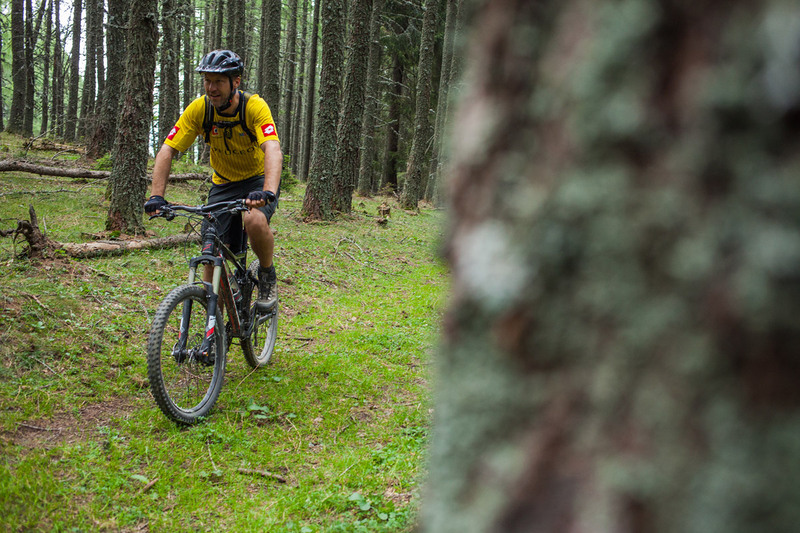 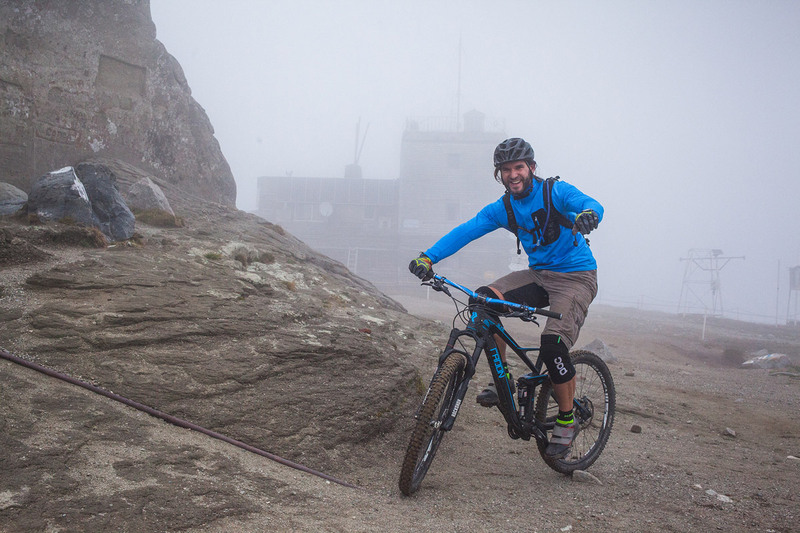 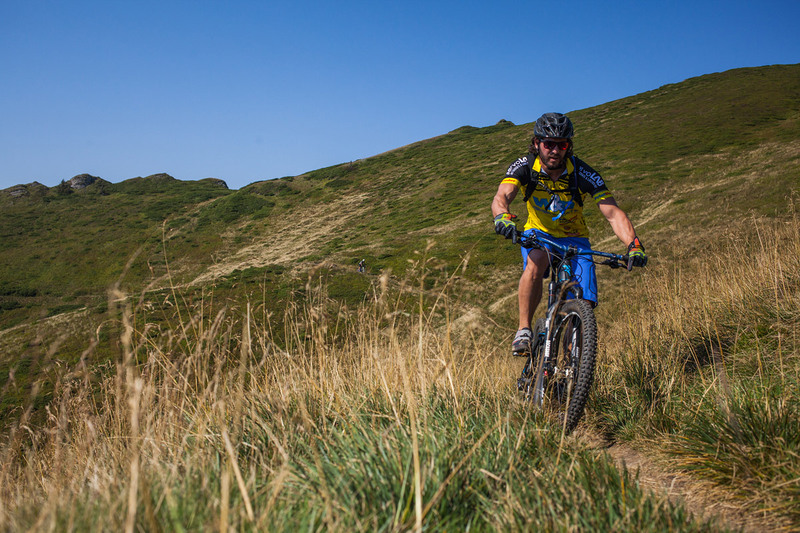 The smiles you see on the faces of the mountain bikers from the Austrian club FC Donald that came to Romania this August will only testify about how efficient the papanași were. 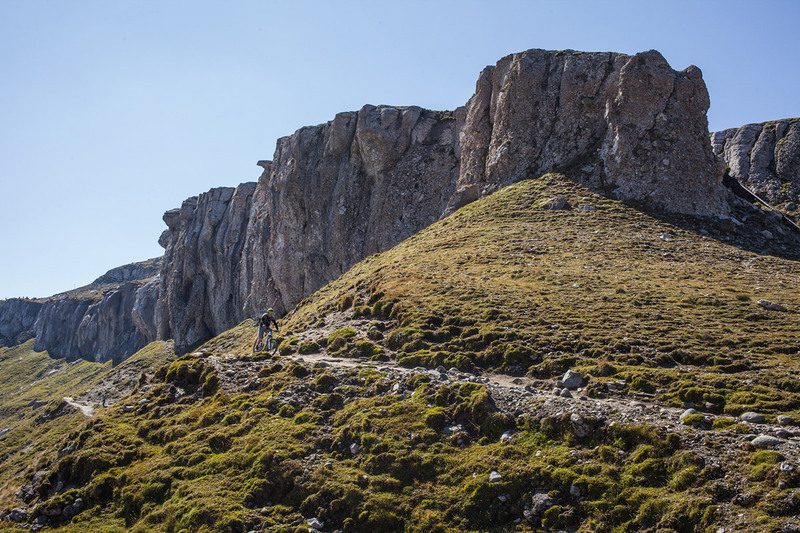 And, we forgot to mention: how delicious they were! 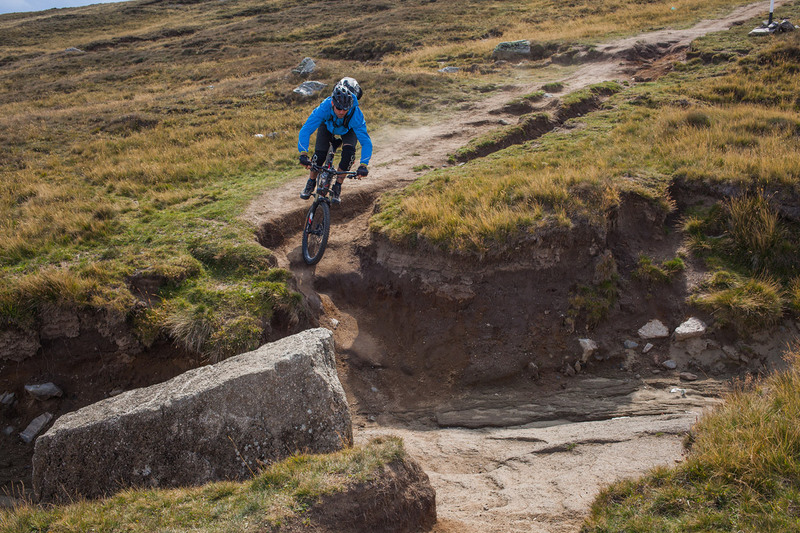 Almost as good as the trip itself, with nice weather, unforgettable single tracks, plenty of loughs, and great memories to share. 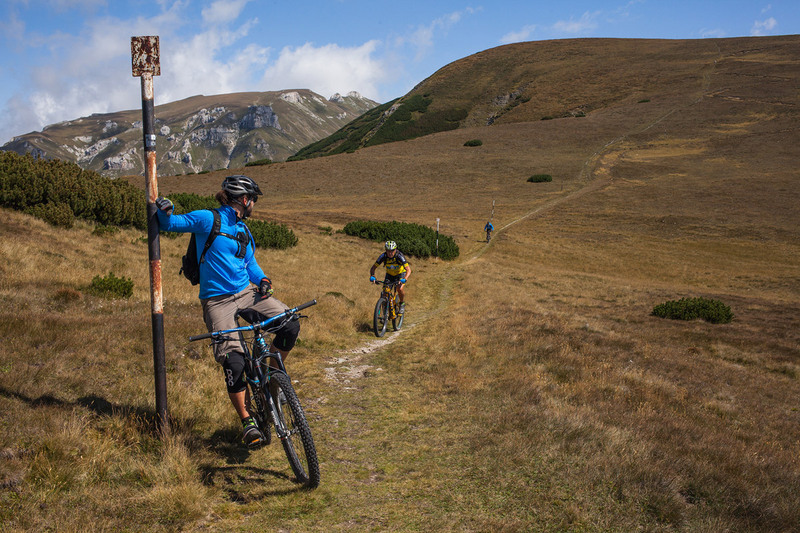 The 7 days in the Carpathians were an unforgetable adventure and I´m very thankfull for this extraordinar experiance. 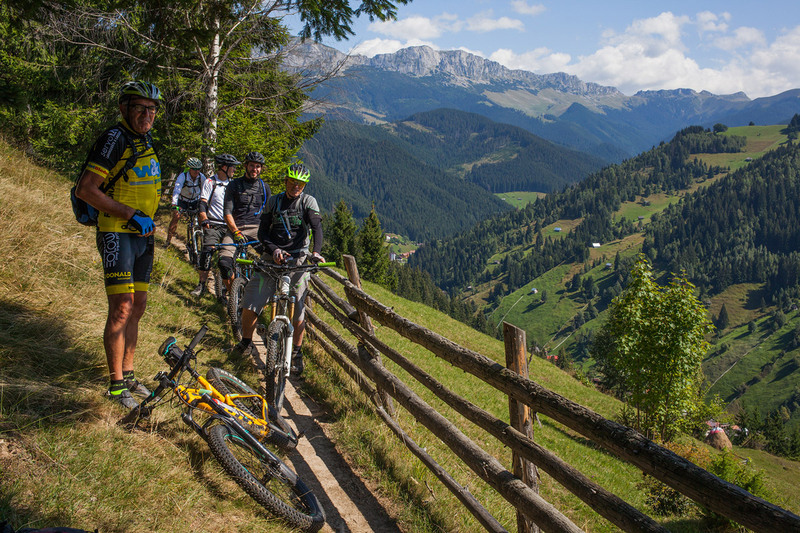 Beautiful landscape and views; trails with a wide variety from easy to tricky – for everybody from starter to expert. 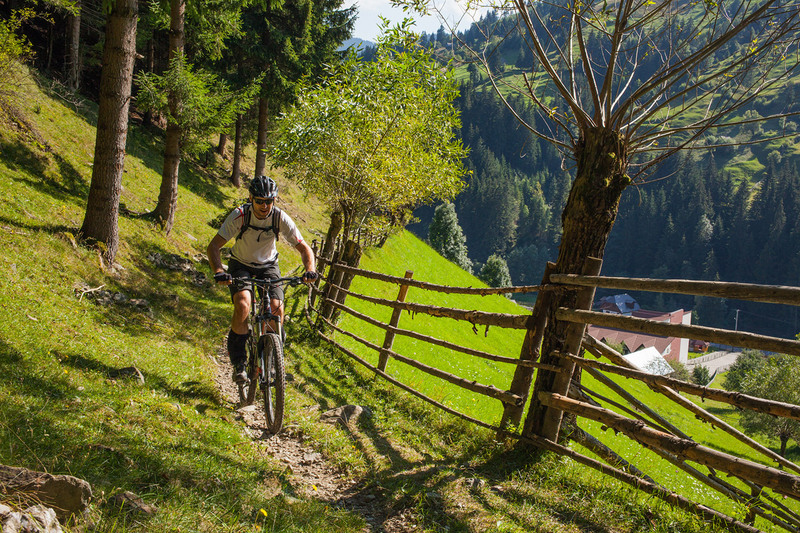 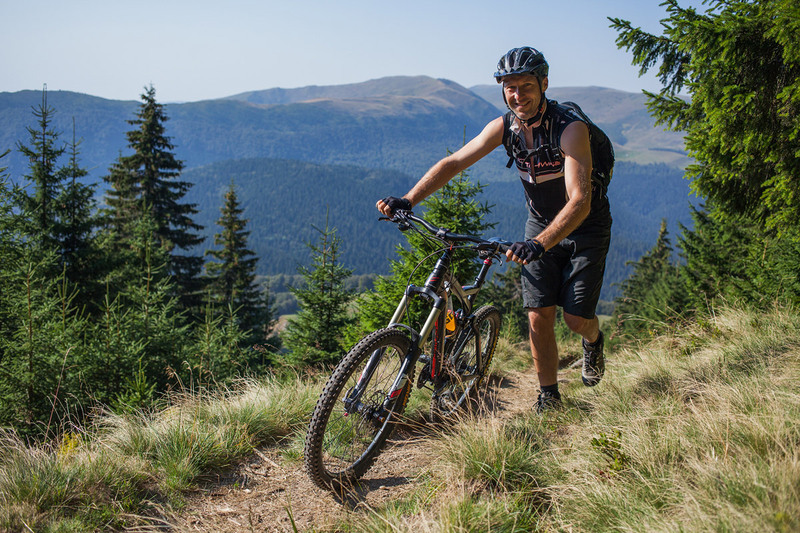 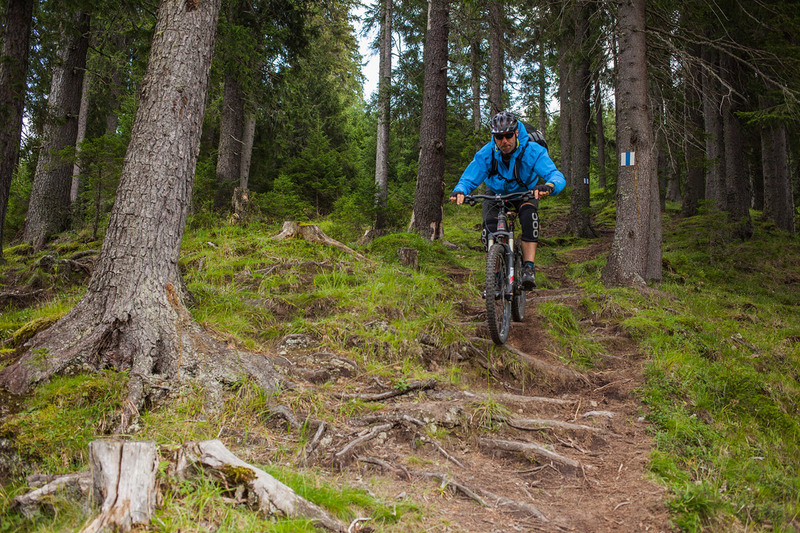 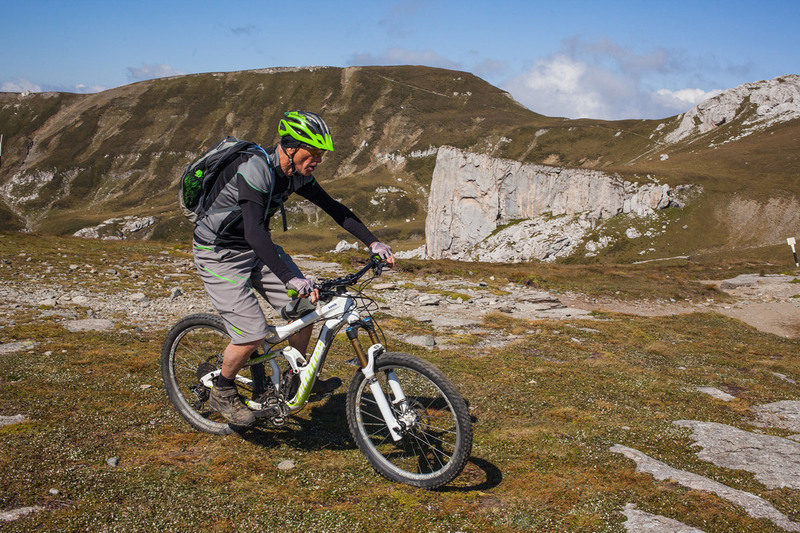 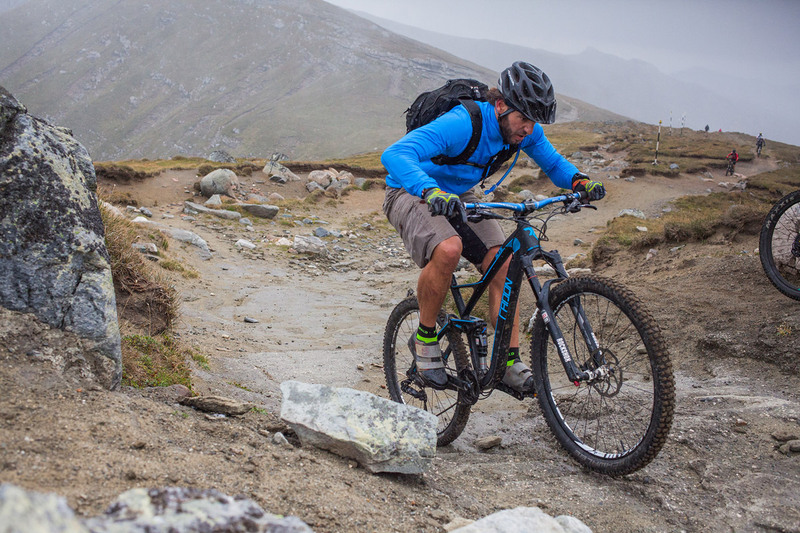 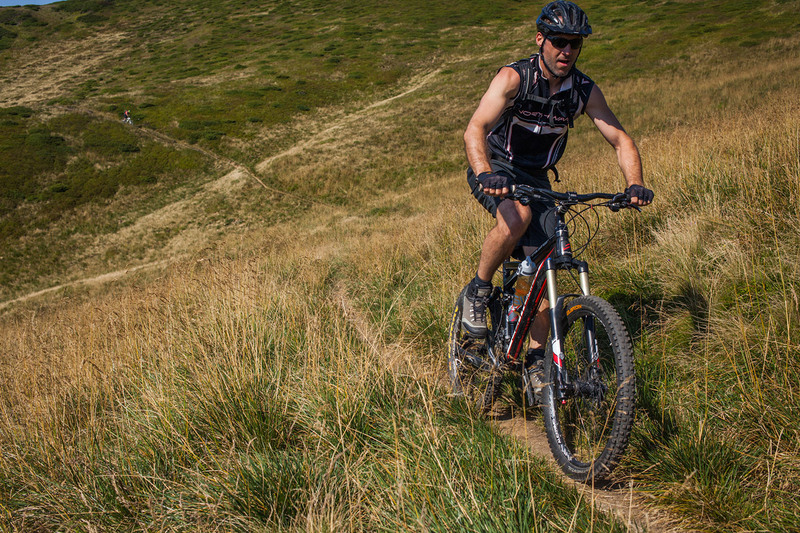 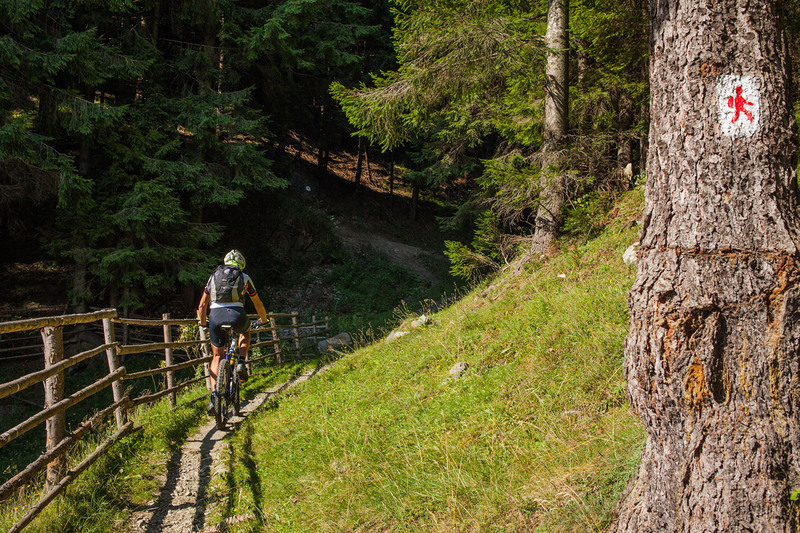 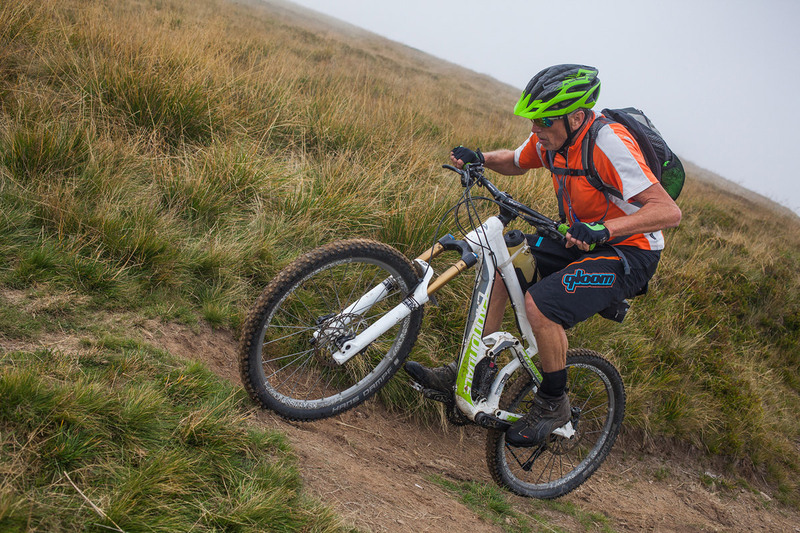 Climbs are followed by speedy downhills through vast beech groves, smooth single trails or simply over mountain pasture. 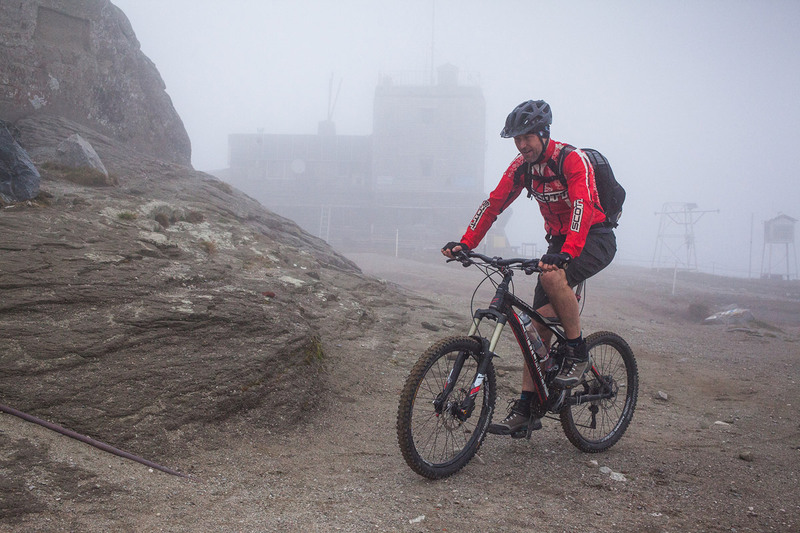 Our guide Horia adapted the tour to our skills and wishes and we enjoyed. 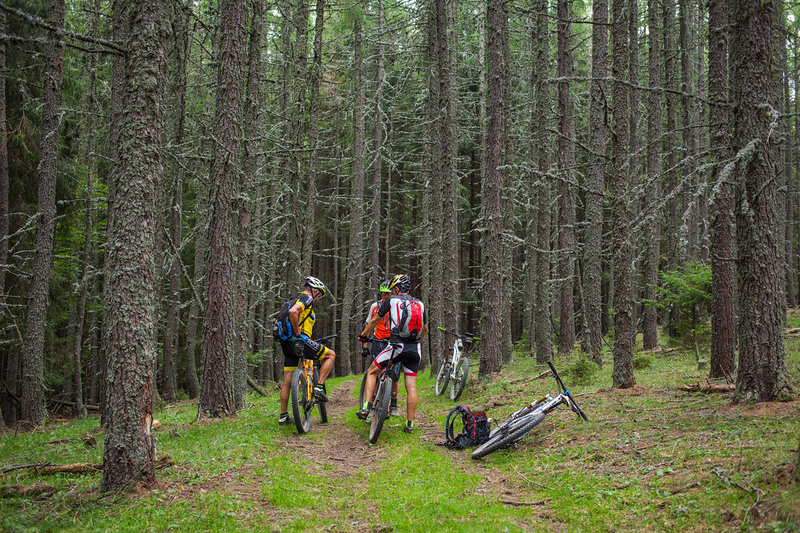 Besides you get in touch with friendly, open minded and hospitable folks and the “down-home”, tasty, local kitchen. 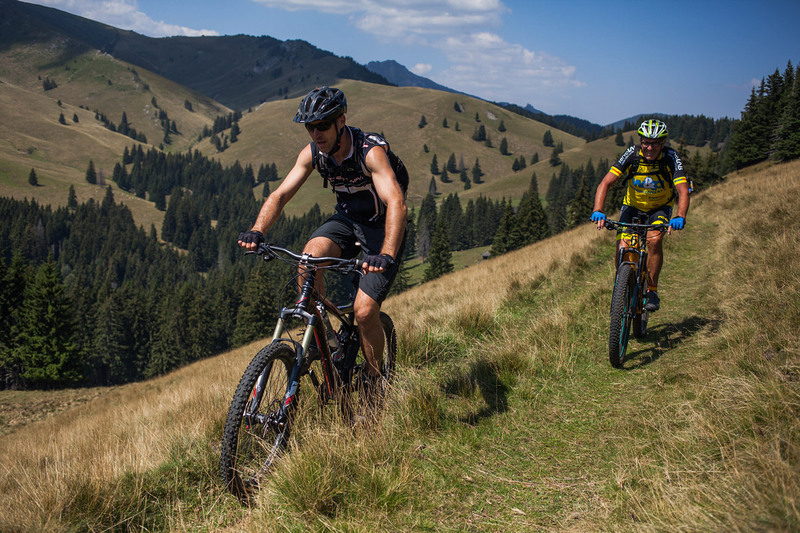 What probably impressed me most was the mixture from modern and traditional, like horse-drawn carriage, people in traditional livery in smaller, rural villages to new, modern mountain resorts and slopes in the Carpathians. 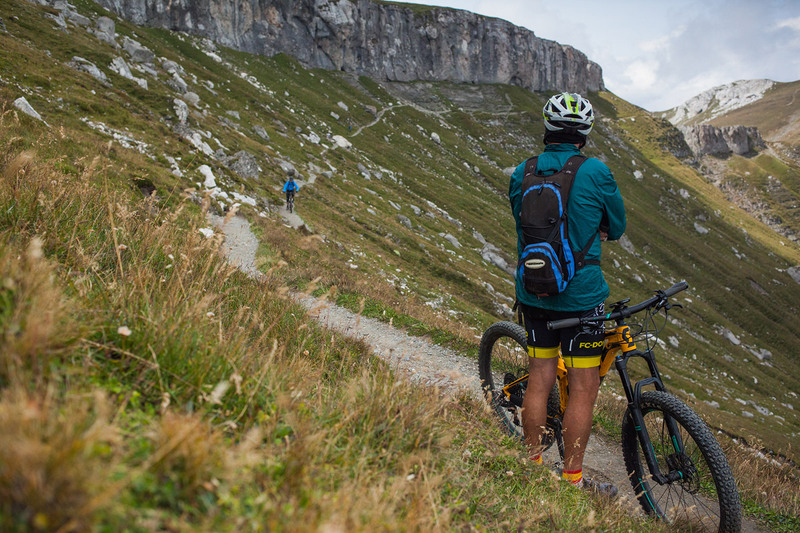 There is a lot to discover! 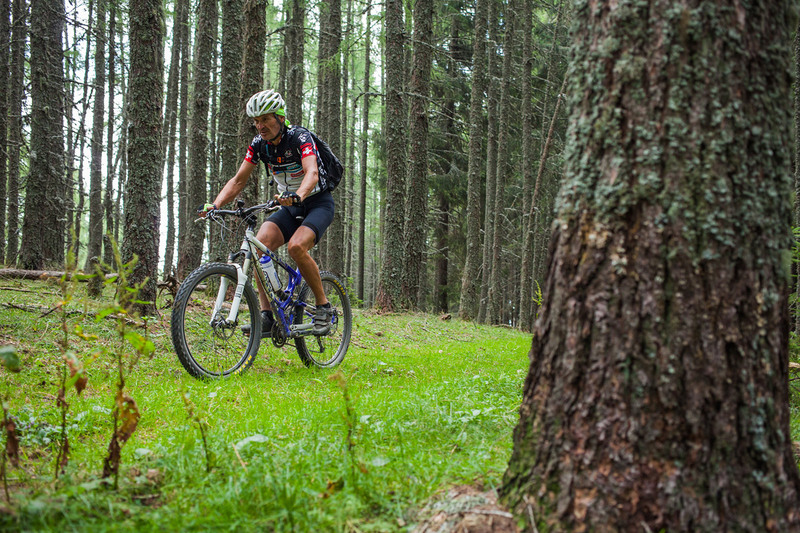 Every little thing was perfectly organized – from food, shutteling, bike spare parts to accomodations. 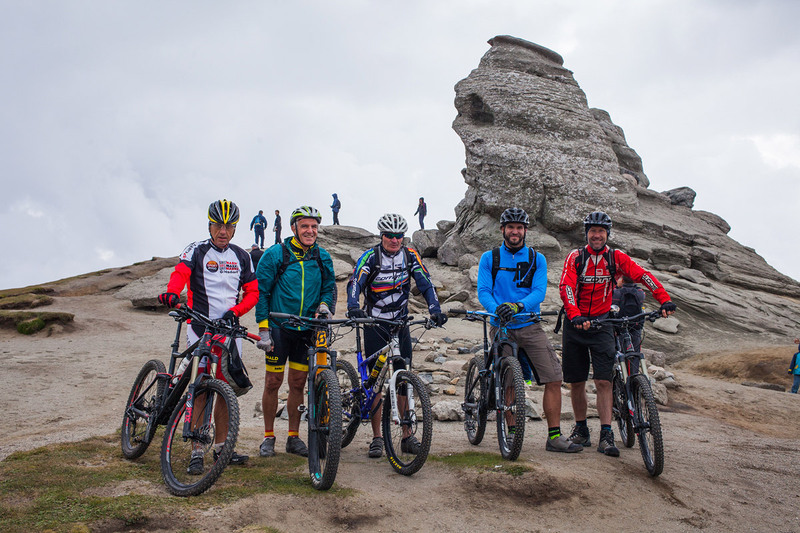 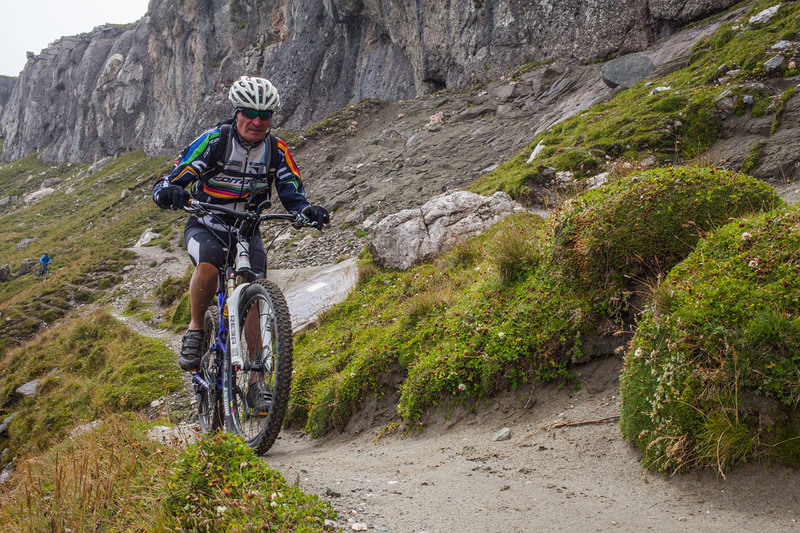 I can defenitly recommend this trip to every passionated mountain-biker, and I´m looking forward to my next visit! 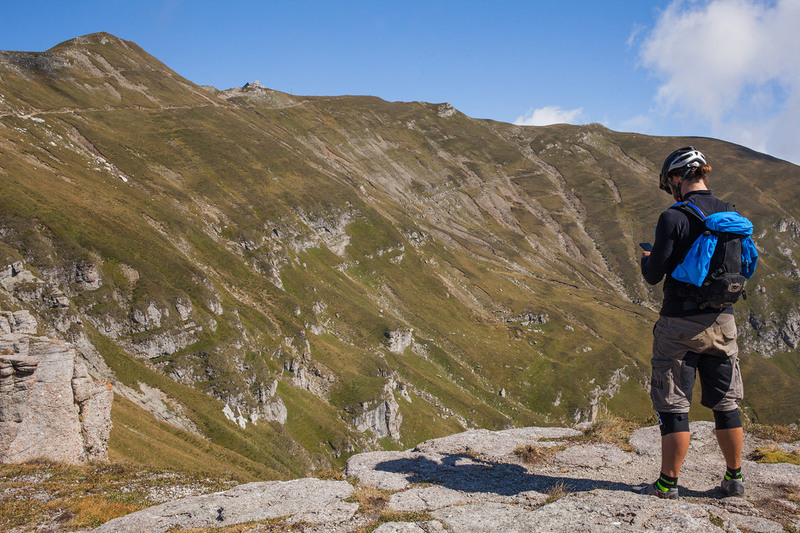 What can I ad to Peters comment? 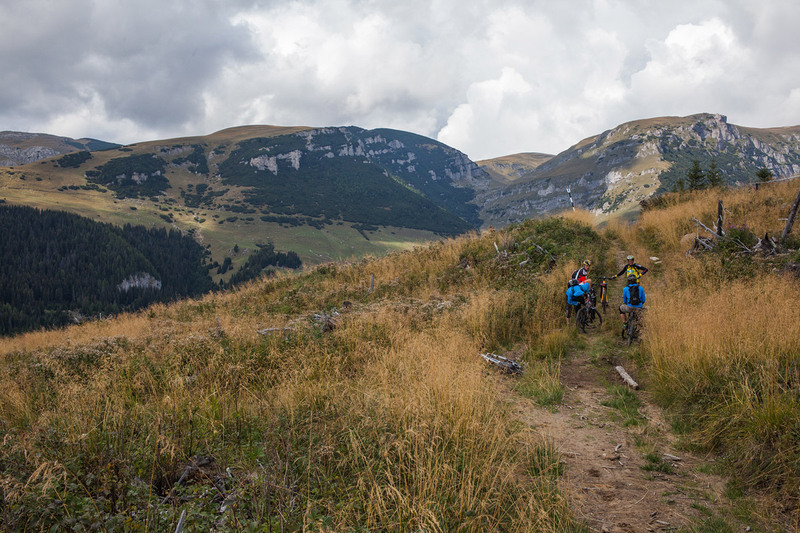 We had a amazing time in a marvellous landscape with flowy to tricky trails in an often untouched landscape. 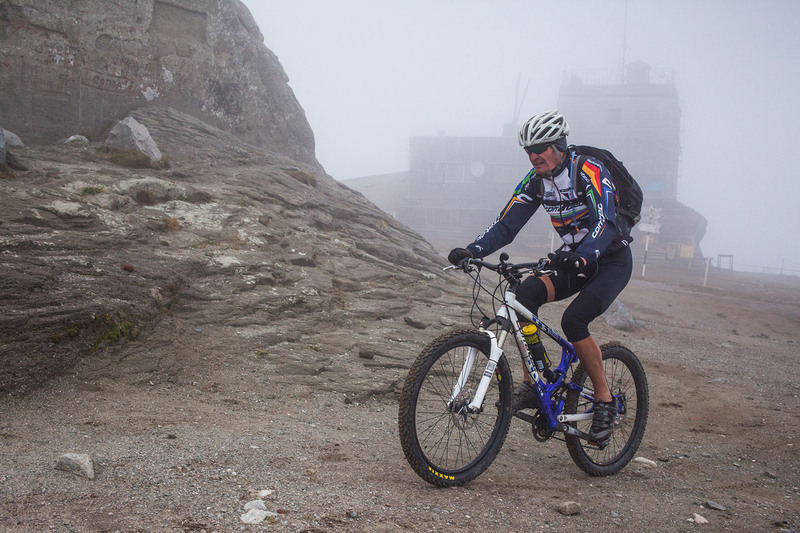 Hora, our guide, was always giving his best to deliver us the best time. 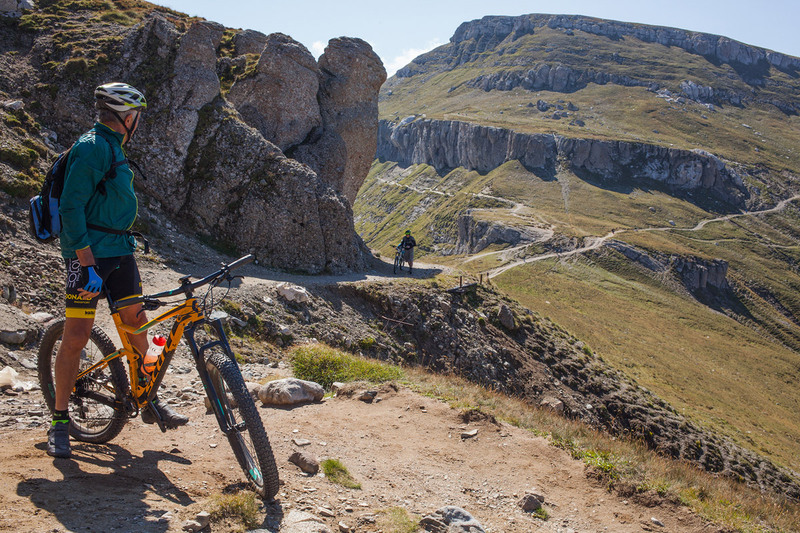 Thanks for all Horia and take care … thx for the nice pics too!